﻿ Ask an Arabic Teacher - Where are Arabic variants spoken? Ask an Arabic Teacher - Where are Arabic variants spoken? In this lesson, you'll learn when Arabic variants are spoken. Ask an Arabic Teacher - How Different is Modern Standard Arabic from Dialects? Ask an Arabic teacher - What do country names look like in Arabic? 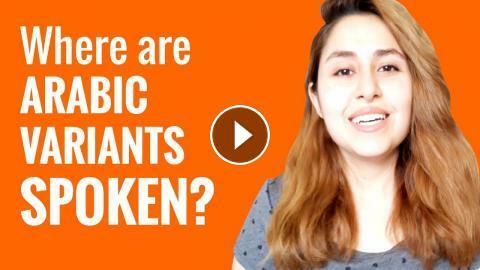 Ask an Arabic Teacher - Are There Feminine and Masculine Nouns in Arabic? Ask an Arabic Teacher - What is the structure of Modern Standard Arabic sentences? Ask an Arabic Teacher - Are Arabic expressions affected by religion? Ask an Arabic Teacher - How Many Arabic Sounds Don't Exist in English? Ask an Arabic Teacher - What are "sun" and "moon letters"? Ask an Arabic Teacher - How Do You Sound Polite in Arabic? Ask an Arabic Teacher - Why Doesn't Arabic Use the Verb "to Be?" Ask an Arabic Teacher - How do you type vowelling signs? Ask an Arabic Teacher - How Are Sounds That Don't Exist in Arabic Pronounced? Ask an Arabic Teacher - How Are Arabic Words Created? Ask an Arabic Teacher - What Do Computer and Social Media Words Look like in Arabic? Ask an Arabic Teacher - What do questions look like in Modern Standard ِArabic? Ask an Arabic Teacher - Where Are the Personal Pronouns in Arabic? Ask an Arabic Teacher - What Are the Possible Forms of a Verb in Arabic?